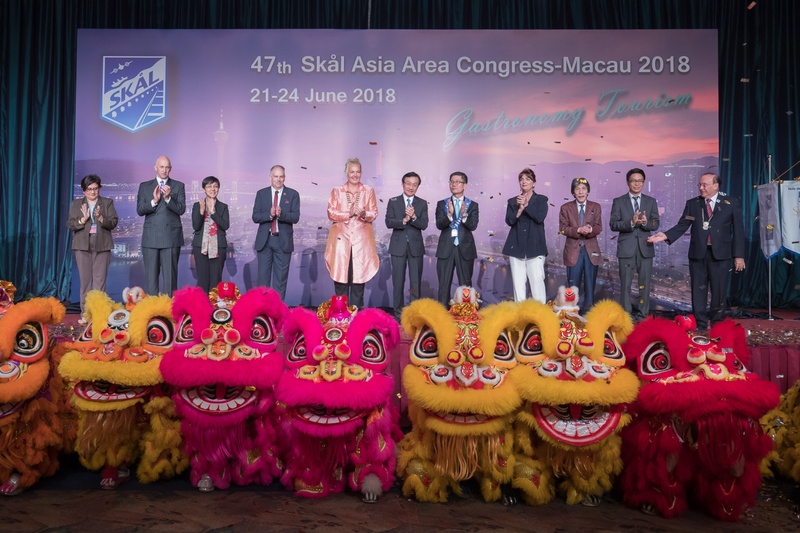 The 47th Skål Asia Area Congress officially opened today (June 22) in Macao congregating delegates from multiple branches of the tourism industry from Skål clubs across Asia in the city for their annual meeting. 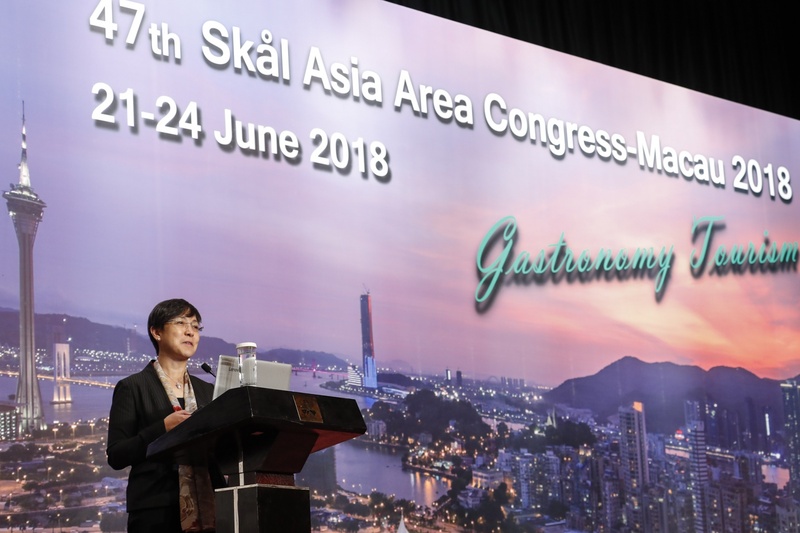 Hosted by Skål International Macau, with the support of Macao Government Tourism Office (MGTO), the congress is themed on Gastronomy Tourism, highlighting Macao’s designation as a UNESCO Creative City of Gastronomy. 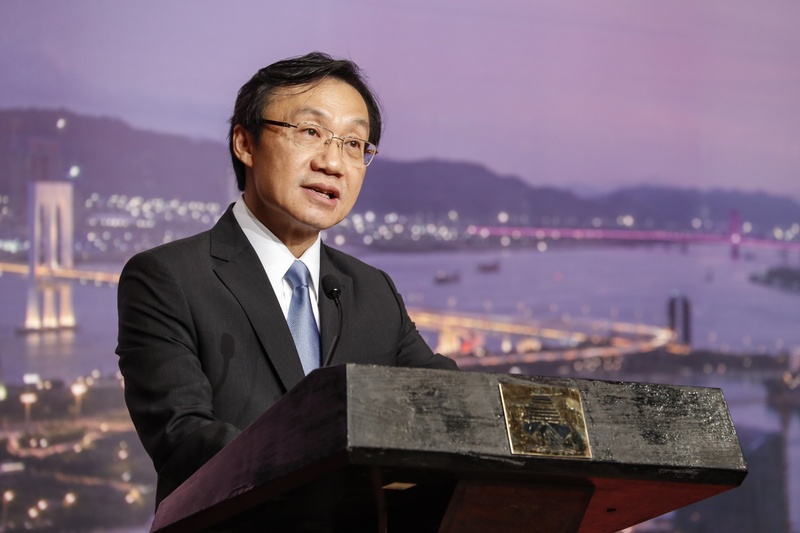 Secretary for Social Affairs and Culture of the Macao SAR Government, Alexis Tam, welcomed delegates attending the 47th Skål Asia Area Congress, with a speech at the opening ceremony, held this morning at Macau Fisherman's Wharf Convention and Exhibition Centre. Skål International President, Susanna Saari, Skål Asia Area President, Robert Sohn, and Skål International - Macau President, João Manuel Costa Antunes, also delivered welcome remarks at the opening of the congress, which gathered around 170 skålleagues from 22 Skål clubs of 15 countries and regions in Asia. The congress proceeded with presentations and debates by several guest-speakers about tourism, gastronomy and sustainable development, while providing delegates with an in-depth update about Macao’s development as a tourism destination. Pacific Asia Travel Association (PATA) Chief Executive Officer, Mario Hardy, made a presentation about sustainable tourism development, while MGTO Director, Maria Helena de Senna Fernandes, elaborated on how Macao is transforming itself into a world centre of tourism and leisure. Meanwhile, Chief Executive Officer and Executive Director of MGM China, Grant Bowie, shared his vision on tourism and leisure innovation in Macao, and Macao Trade and Investment Promotion Institute Executive Director, Irene Lau, presented the development of the MICE sector in Macao. The program also included a debate on tourism and gastronomy featuring as speakers the President of the Macau Culinary Association, Perry Yuen, Deputy Governor for Policy and Planning of the Tourism Authority of Thailand, Chattan Kunjara Na Ayudhya, and the focal point of Shunde, China, for UNESCO Creative Cities Network, Fang Li, moderated by MGTO Deputy Director Cheng Wai Tong. There was a discussion on young Skål in the Asian area as well. A memorandum of understanding between PATA and Skål International to boost cooperation between the two tourism associations was also signed at the occasion. The activities of the congress started yesterday (June 21) and will run until Sunday, with the program including several Skål Asia Area internal meetings. During their stay in Macao, participants will also join heritage and other attractions tours, technical visits to new tourism infrastructures, experience the city’s gastronomy, and more. This is the third time Macao hosts the Skål Asia Area Congress, with the first two editions held in 1994 and 2007. Macao also co-hosted the annual congress with Hong Kong in 1981. Next year the congress will be held in Bangalore, India. Headquartered in Spain, Skål International was founded in 1934 and is an international association that brings professionals together from all sectors of the tourism industry. Its objective is to promote tourism and enhance business contacts whilst promoting friendship among the members of the tourism sector. Currently, there are close to 400 Skål Clubs in 95 countries and regions around the world supported by approximately 14,000 members. Skål International - Macau was established in 1979.